MMO Paint is what it sounds like. Everyone connects to the same canvas and draws at the same time in real time. Join in and make some pixel art! Finally I ported the whole thing to Unity 5 and I'm using the new UI system. As you can see, things changed quite a bit. Here you can toggle some features and save the whole image. 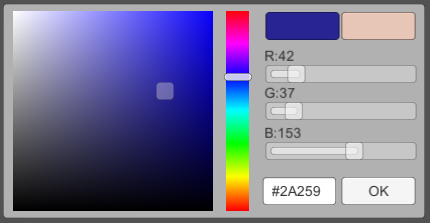 Now it looks more like the one from photoshop, you can change the RGB and hex values. New UI and UI graphics. Now you can press ctrl+z to undo. 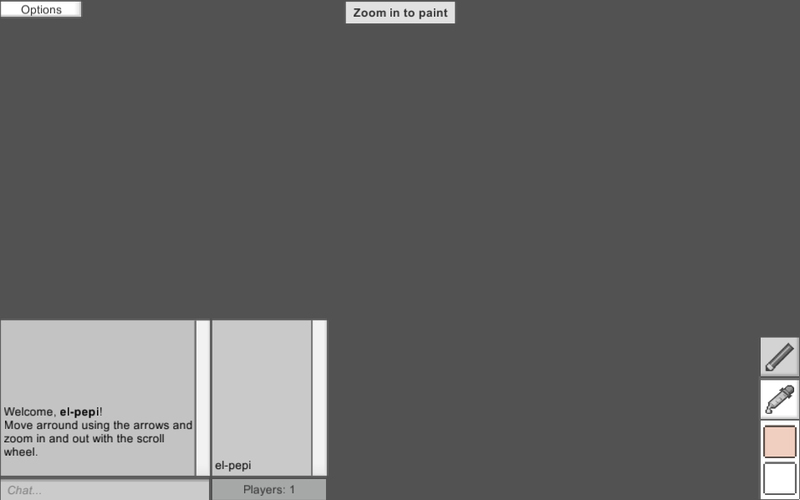 Now you can see other people's cursors while they are painting. Names on the chat are bold now. If you have any suggestions, please leave the in the comments. I got a new server host and updated the project to Unity 5. Great "game" ! Good community so far ! Totaly love it ! ****, I -1'd you by accident. The release date is just a random number I put there haha. I don't know why it changed.